With their premium cabins and punchy performance, both the 2018 Volkswagen Tiguan and the 2018 Mazda CX-5 set a high bar in the small crossover SUV segment. Which model is the right pick for you and your family? Our comparison guide is here to help you decide. Here, the 2018 Volkswagen Tiguan comes out on top. We’re big fans of its 8-inch touchscreen display, which makes it easy to access features like satellite and HD radio. You can even use voice commands to interact with the system, so you don’t have to look away from the road to change the station. The Tiguan also offers Car-Net Security and Service technology, which provides remote access via a smartphone app, monitoring services for young drivers, and automatic crash notification. Every single trim model comes standard with Apple CarPlay and Android Auto capabilities, so you can interact with smartphone apps on the touchscreen without ever having to pick up your phone. The 2018 Mazda CX-5 also aims to keep you connected, bringing you all the basics, including Bluetooth connectivity and up to four USB ports. You can use the central infotainment system to make hands-free calls or stream music from devices, but you won’t find Apple CarPlay or Android Auto on the CX-5. You should also note that you can only use the central touchscreen when the CX-5 is stopped. This safety feature aims to help you keep your focus on the road ahead, but it also keeps the front-row passenger from being able to use these controls. Here, the 2018 Volkswagen Tiguan takes the lead once again. Inside this small crossover, you’ll find an incredibly spacious cabin. Both rows of seating offer enough head- and legroom for a tall family to travel comfortably. The Tiguan cabin is also classy, offering a solid build and handsome materials. On higher trims, you’ll find all-out luxury, with leather upholstery and a nine-speaker premium Fender sound system. On the road, the 2018 Mazda CX-5 quells wind and road noise, creating a hushed cabin. This crossover also provides a smooth ride, soaking up bumps in the road with ease to provide you with a comfortable ride. However, the 2018 Volkswagen Tiguan supplies a classier feel, adding a layer of style to its rich creature comforts. If you’re looking for a crossover that will tow your Jet Ski to the beach or transport a big family in complete comfort, the Tiguan is your best bet. Especially big families can add an optional third row to increase seating capacity to seven. All Tiguan trim models come standard with roof rails, making it easy to pack up your outdoor adventure gear and hit the road. Properly equipped, the Tiguan tows up to 1,500 pounds. Like the Tiguan, the CX-5 offers all-wheel drive for enhanced performance on light off-road trails. The 2018 Mazda CX-5 also tows a slightly heavier Jet Ski; it’s rated to tow up to 2,000 pounds. However, you can’t add a third-row seat to your CX-5, so it only seats five passengers max. If it were up to us, we’d choose the 2018 Volkwagen Tiguan every time. This sporty crossover offers a smooth, quiet ride and spacious, comfortable seating. It’s also loaded with tech features, so you’ll always feel connected. The Tiguan is adventure-ready, thanks to its optional all-wheel drive and sporty towing capabilities. 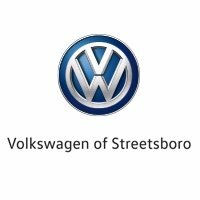 Stop by Volkswagen of Streetsboro to test-drive the Tiguan and see what all the fuss is about for yourself.